Whenever we have friends staying who are looking for a great day out we tell them to take the road to the isles. From Fort William the A830 takes you to Glenfinnan, famous for the stunning railway bridge which featured in the Harry Potter films. There is a lovely walk into the glen which will take you under the arches of the huge viaduct. 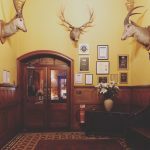 After a lovely walk exploring the area it is great to end up in the bar of the Glenfinnan House Hotel, where you can get a lovely platter of Venison charcuterie with your pint. If you are lucky there will be one or two locals in the corner playing traditional Scottish music. 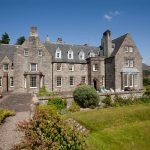 Further down the road is the magnificent Arisaig House. You will see the impressive building from far, this is a great place to stay but you they do lunch and dinner for non residents too. Colin the headchef uses our charcuterie and his dishes are always a delight. At the end of the road is the little fishing village of Mallaig. From here you can take ferries to the small isles and Skye. Next to the harbour is the best bakery of the Highlands the Mallaig Bakehouse and Crannog. During the day you buy the best pastries and breads, make sure you get there early as they often sell out of the best bakes by lunchtime. At night the Crannog turns into a pizza take away. 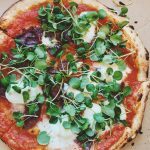 The wood fired pizza oven churns out the best pizzas with our local cured meats. 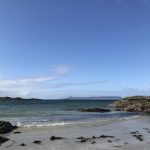 Do not forget to stop at some magnificent beaches along the way, from Arisaig take the old scenic road which will take you past lovely beaches and great views. ← Sustainably sourced wild venison. "Your charcuterie is truly a wonderful product, full of such great flavours. The green pepper salami is a family favourite as is the chorizo and bresaola. It's so versatile and as well using it cold with bread or oatcakes, I enjoy serving a selection of the meats on a sharing platter along with olives and salad. It also makes a great addition to pasta, risotto, casseroles and my boys love to use the chilli chorizo on pizza or as a snack."